“Engineering an Athlete” is your one-stop road map to athletic success. 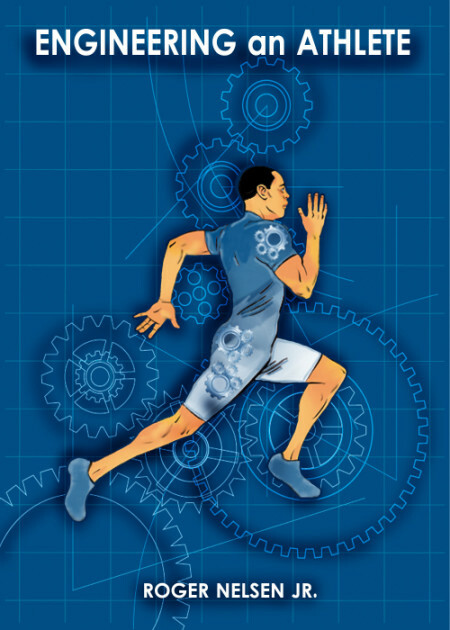 Unlike other books that give you simplified and obvious information or cookie cutter programs, “Engineering an Athlete” provides a detailed, but concise overview of the entire training process. Regardless of whether one is a rank novice or a seasoned pro, this book outlines what they should be doing and takes it one step further by explaining why. There is no one that “Engineering an Athlete” would not benefit. Have you ever wondered what sets elite athletes apart from the rest of us? Wondered how they can move so smoothly, so powerfully? Is it in their muscles? Yes. Their tendons? Yes. Their psyche? Yes. “Engineering an Athlete” covers these factors and how to train them, but so do other books on the market. The difference is that this book gets to the heart of the matter and discusses the one thing that truly sets apart the winners from the also-rans: proper muscular recruitment. “Engineering an Athlete” provides a foolproof guide on how to develop this vital ability, drastically enhancing performance and reducing injury risk to virtually nil. Also included in this text are specific routines, long and short term programming advice, exercise demonstrations with picture sequences, diagrams for equipment construction, nutritional information, tools for psychological training, performance testing criteria, tables of athletic standards, and much, much more. And unlike other books whose information is backed up by nothing more than the author's word, “Engineering an Athlete” references over 150 books and peer reviewed journal articles on sports science, medicine, psychology, and many other fields. A brief explanation of the book and its goals as they relate to the training process and athletic mastery. A concise but detailed breakdown of the building blocks that comprise fitness and athleticism. The first of the three phases of training is covered, starting with the specific goals of the phase (instilling correct recruitment patterns and preparing the body for more intense performance) and then moving on to precise prescription. The second of the three phases of training is reviewed, once more beginning with the goals of the phase (integrating the correct recruitment patterns built in the last phase into complex dynamic movements) and then proceeding to prescription, including series of progressions. In a look at the final phase of training, sport-specific programming is covered in both the short and long term and each component of training is given a look over. An overview at nutritional guidelines, healthy food choices, supplements, meal timing, and proven recovery applications. Mental training and the complex psychological processes behind performance, skill acquisition, and even motor learning are examined in a straightforward and applicable manner. Standards for a number of professional sports are listed, as are various tests used to gauge and compare relative and absolute physical abilities and guide future training. A hodgepodge of random, but important topics are touched upon including: footwear, overspeed training, hormonal changes accompanying winning and losing, equipment blueprints, and more. A brief conclusion in which the author sums up key messages and describes his personal views on the training process. A list of the 150+ references cited within the text, all of which are great resources for further study.